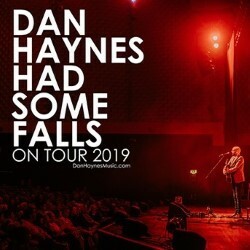 International touring songwriter Dan Haynes comes to Edinburgh as part of his Had Some Falls tour. Following nationwide UK dates and a 23-night tour of Germany, Haynes lands in Edinburgh for a further 23 shows. Avoid the afternoon crowds and relax with Haynes’s heartfelt alternative folk that got him labelled as a young Paul Simon. 'Stunning songwriting and an acoustic guitar masterclass' (Media Luchs, Germany). 'Not to be missed' (Nottingham Post).